Seaboard Marine has a proven 20 plus year track record of engineering and fabricating custom marine exhaust systems for all types of marine diesel applications. 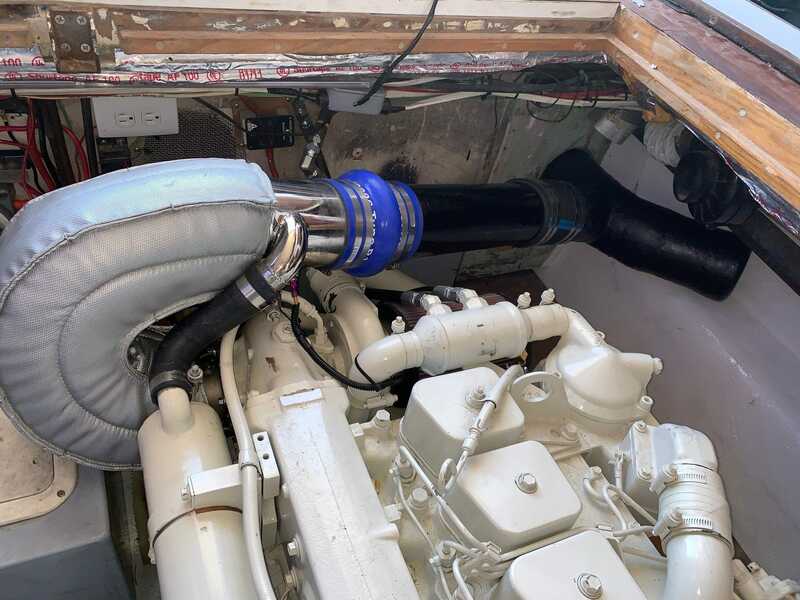 Our highly popular dry riser to wet exhaust system has become the new standard for small to medium diesels up to 750HP, and we’ve solved a lot of the problems we see with other approaches to marine exhaust. 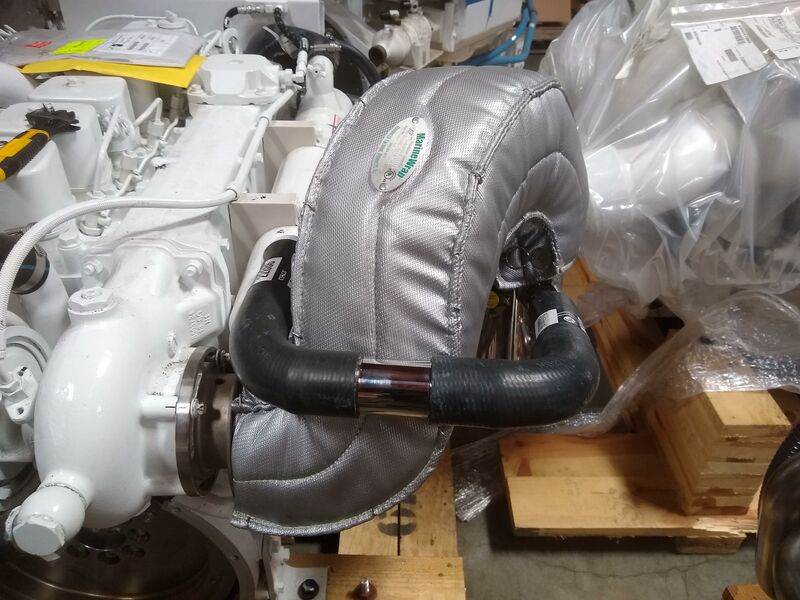 Over the years, we have continually refined every aspect of the engineering and fabrication process, as well as sourcing the best materials, so that we can offer the best marine exhaust systems on the market. Fill out the form at the bottom of this page to get your custom exhaust started today! What’s wrong with the stock exhaust elbow or riser? 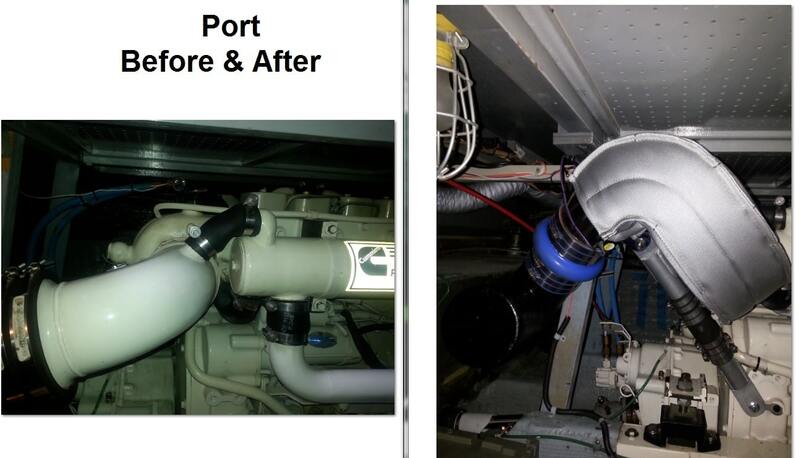 You would think the engineers who designed the engine could build a decent exhaust, but in fact its nearly impossible to make an effective cookie cutter exhaust system for a marine application. The standard approach is a wet mixing elbow or wet riser. 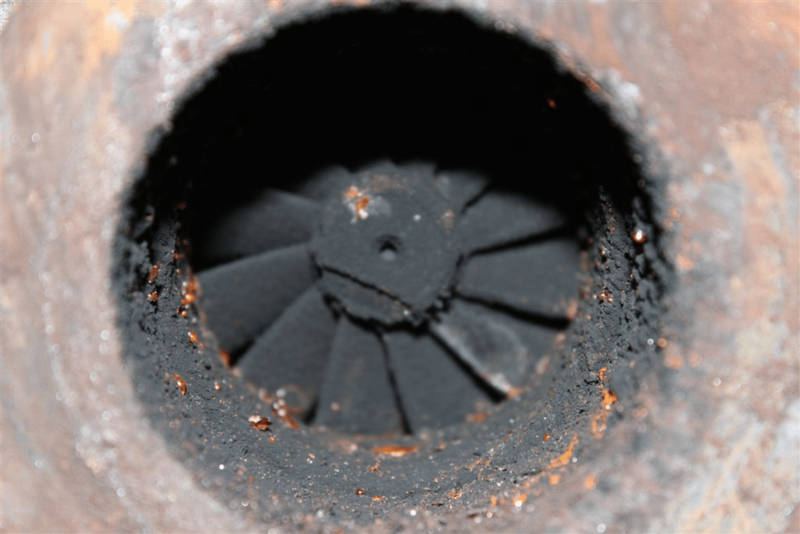 These exhaust designs with few exceptions are “doomed to fail,” as they are often made of relatively thin material and inherently hold raw water within inches of your precious turbo. The only thing keeping gravity from introducing that water into your turbo is a thin piece of steel that is known to corrode and leak. It’s a simple question of what will last longer, that thin piece of metal or Gravity? While it may seem unfathomable that such a pervasive issue could plague the industry, if you look at it from the point of view of the engineer who designed the engine, the question is simply what will last longer, that thin piece of metal or the warranty? To that end, they have designed a perfectly adequate exhaust. What are the advantages of a custom dry riser? Our dry riser design eliminates the risk of water intrusion into the turbo through the exhaust outlet. It’s really is as simple as making gravity the key design constraint which makes sense when you think about the consistency of gravity, It’s Always There! By ensuring that gravity will pull the water away from the turbo under all conditions the turbo stays dry and happy. Though it’s exceedingly hard to achieve this with off the shelf components, with custom exhaust we can fabricate the geometry to match the constraints of the engine room to optimize the design for each vessel. Coming out of the turbo we turn upwards above the water line, then we turn downwards creating a spillover point that is ideally in excess of 12” above the water line and finally, we introduce the water on the downhill slope. 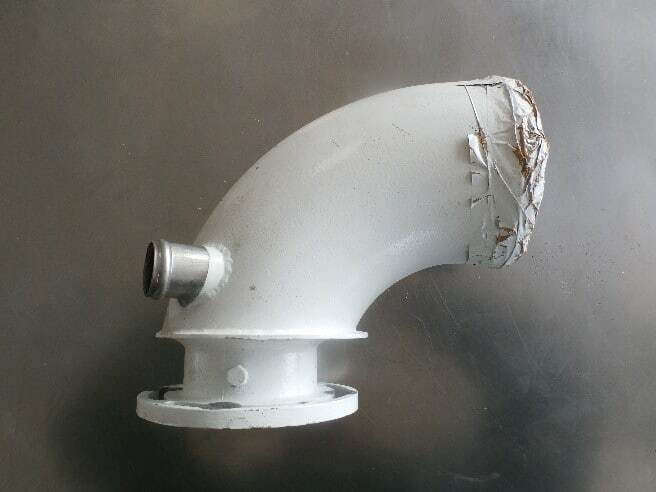 All the while we must avoid the deck, beams and other obstructions, and position the mixing bell for a smooth connection with the existing muffler or wet exhaust. How will the new exhaust change the layout and functionality of my engine room? Since we are building custom from scratch we can work around your conditions to improve the layout and functionality of the engine room. We strive to maintain or improve access to all of the items in your engine room that needs regular attention such as batteries, water pumps, filters and more. Be sure to tell us about any particular concerns with access so we can optimize the design for your particular engine room. 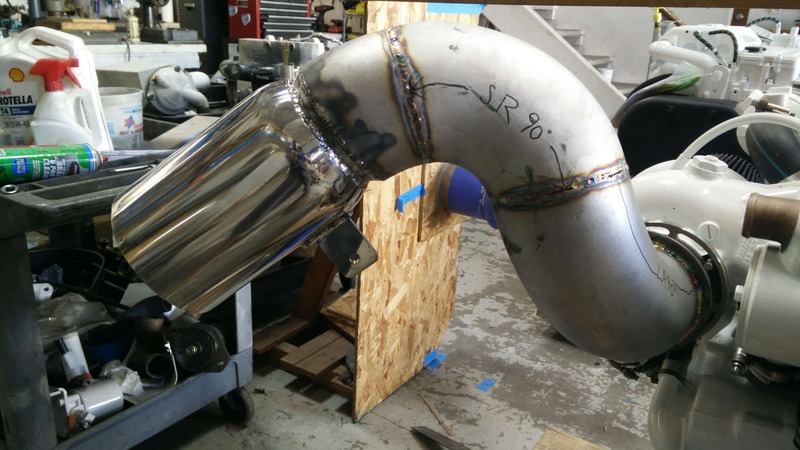 Can you build a custom exhaust without having the boat in your yard? Absolutely, in fact, most of the exhausts we build are for boats all over the world. First, we will ask you to send us some pictures of your engine room and a few preliminary measurements. Then, we will give you a quote and discuss general design goals. Once you decide to move forward, we will send you a worksheet to fill out with detailed measurements. We will pull a similar engine from our warehouse and use an array of custom fixtures we have developed to mock up the key engine room constraints. Next, we will tack up the exhaust and send you some pics so you can see the geometry we propose before any final welding. Lastly, we weld all of the joints and order you a custom, high quality, insulated wrap. So why have Seaboard Marine make My custom exhaust? Over the years we have highly refined all aspects of our design, whether its sourcing the best value in 316 Stainless pipe and elbows, having our own turbo flanges made to spec complete with pyrometer hole, sourcing our own thermal alarm switches to include on every riser, or finding the best of the best vendors for our custom insulated wraps. 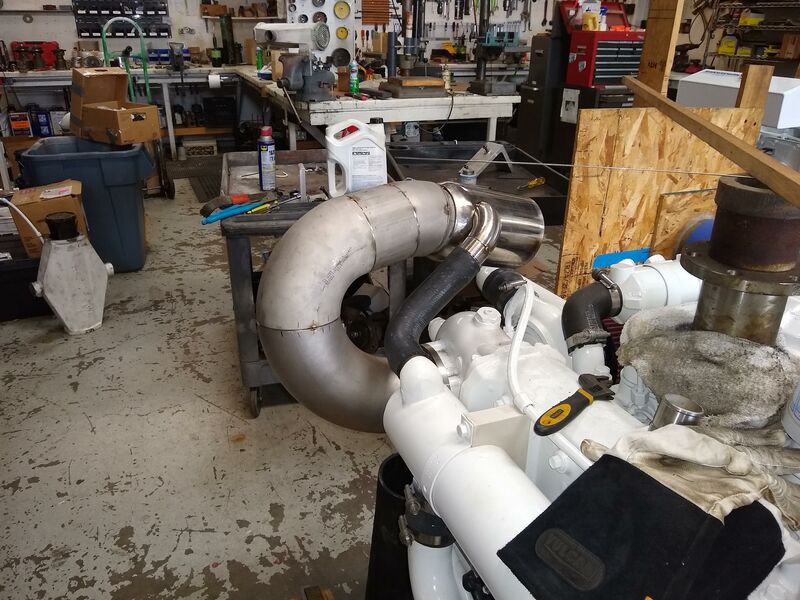 Our approach to exhaust is very comprehensive and we’ve solved all the common problems that we see in the industry and we’ve added many conveniences to our final product, so our exhaust systems look and work fantastic with zero learning curves. 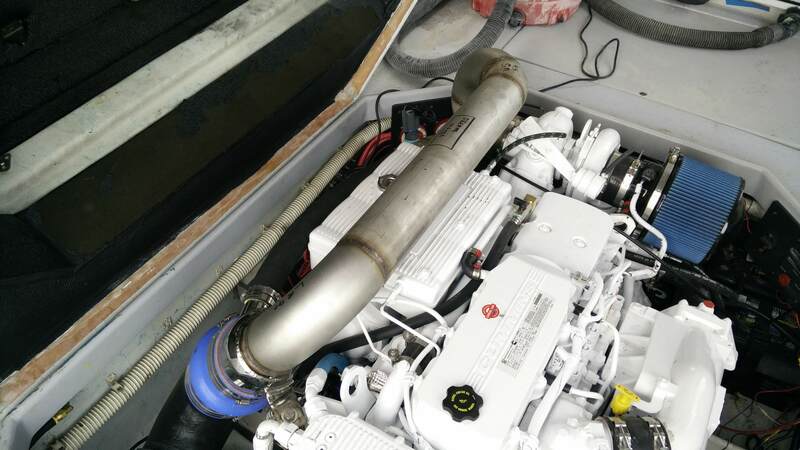 Here are the steps to getting your own custom seaboard marine exhaust system. Fill out the form below. Include a lot of Pictures. More than you think, In focus and as far back as possible. We will look over your situation, begin a dialogue with you about the general design and constraints, and provide a quote for your exhaust system. Once you decide to move forward, we will send you a worksheet to complete with all required measurements. We may request specific pictures or other information about any design constraints that we identify during the process. Next, we mock up your engine room constraints in our shop, fabricate and tack weld the system together, communicating with you along the way as the final design takes form. 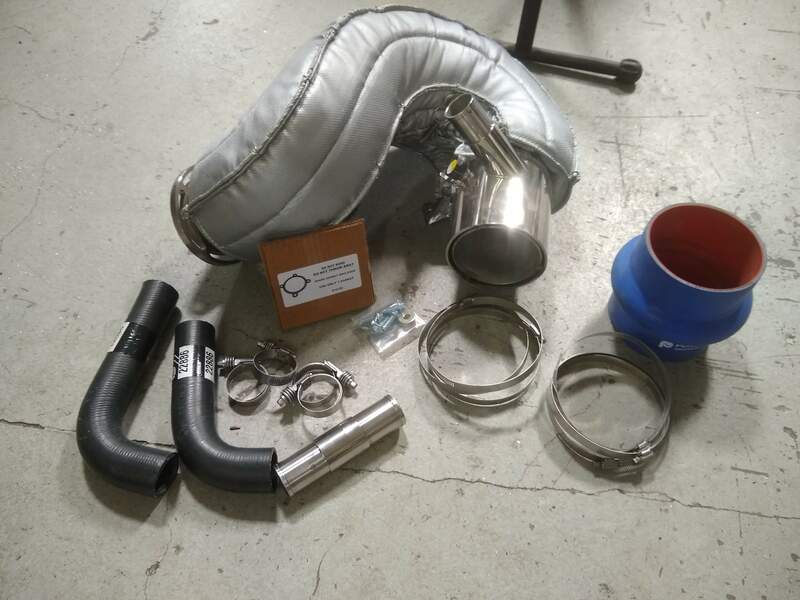 We complete final welding and order your custom high-quality exhaust wrap and source the needed components to complete your kit. We deliver the entire package with hose clamps, hoses, temperature alarm switch, fiberglass reinforced tubing section, thermal wrap and/or whatever other items were included in your design. We provide thorough installation support as needed to help ensure your exhaust system goes together right and is ready to stand the test of time.